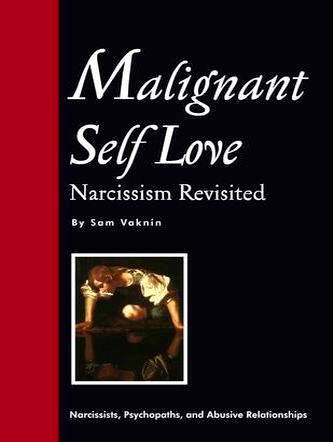 Somatic narcissists use sexual conquests and ostentatious sexual prowess as narcissistic supply. Hence their serial extramarital affairs, cheating, and infidelity. If you can’t or won’t leave him, promulgate clear rules and sanctions and penalties when these are violated. Be fair, but merciless. My husband has a liaison with another woman. He has been diagnosed as suffering from a Narcissistic Personality Disorder. What should I do? Narcissists are people who fail to maintain a stable sense of self-worth. Very often somatic narcissists (narcissistic who use their bodies and their sexuality to secure Narcissistic Supply) tend to get involved in extra-marital affairs. The new "conquests" sustain their grandiose fantasies and their distorted and unrealistic self-image. It is, therefore, nigh impossible to alter this particular behaviour of a somatic narcissist. Sexual interactions serve as a constant, reliable, easy to obtain Source of Narcissistic Supply. It is the only source of such supply if the narcissist is not cerebral (=does not rely on his intellect, intelligence, or professional achievements for Narcissistic Supply). You should set up rigid, strict and VERY WELL DEFINED rules of engagement. Ideally, all contacts between your spouse and his lover should be immediately and irrevocably severed. But this is usually too much to ask for. So, you should make crystal clear when is she allowed to call, whether she is allowed to write to him at all and in which circumstances, what are the subjects she is allowed to broach in her correspondence and phone calls, when is he allowed to see her and what other modes of interaction are permissible. CLEAR AND PAINFUL SANCTIONS must be defined in case the above rules are violated. Both rules and sanctions MUST BE APPLIED RIGOROUSLY AND MERCILESSLY and MUST BE SET IN WRITING IN UNEQUIVOCAL TERMS. The problem is that the narcissist never really separates from his Sources of Narcissistic Supply until and unless they cease to be ones. Narcissists never really say good-bye. His lover is likely to still have an emotional hold on him. Your husband must first have his day of reckoning. Help him by telling him what will be the price that he stands to pay if he does not obey the rules and sanctions you have agreed on. Tell him that you cannot live like this any longer. That if he does not get rid of this presence – of the echoes of his past, really – he will be squandering his present, he will be forfeiting you. Don't be afraid to lose him. If he prefers this woman to you – it is important for you to know it. If he prefers you to her – your nightmare is over. If you insist on staying with him – you must also be prepared to serve as a Source of Narcissistic Supply, an alternative to the supply provided by his former lover. You must brace yourself: serving as a Narcissistic Supply Source is an onerous task, a full time job and a very ungrateful one at that. The narcissist's thirst for adulation, admiration, worship, approval, and attention can never by quenched. It is a Sisyphean, mind-numbing effort, which heralds only additional demands and disgruntled, critical, humiliating tirades by the narcissist. That you are afraid to confront reality is normal. You are afraid to set clear alternatives. You are afraid that he will leave you. You are afraid that he will prefer her to you. AND YOU MAY WELL BE RIGHT. But if this is the case and you go on living with him and tormenting yourself – it is unhealthy. If you have find it difficult to confront the fact that it is all over between you, that your relationship is an empty shell, that your husband is with another woman – do not hesitate to seek help from professionals and non-professionals alike. But do not let this situation fester into psychological gangrene. Amputate now while you can.